Doepfer Dark Energy III Analog Synthesizer Crazy Sound Demo! HomeNewsHardwareDiscover The Crazy Side Of The Doepfer Dark Energy Analog Synthesizer! 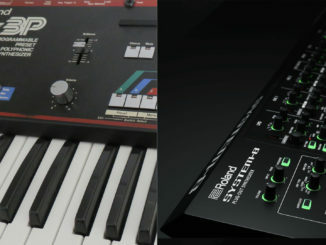 In recent years, there has been a veritable boom of semi-modular analog Synthesizers (Arturia, Behringer, Dreadbox, Moog…) With the Neutron and Crave Behringer have made the entry into the analog world super affordable. Long before Behringer, etc., there was the little Doepfer Dark Energy. Already in 2009, the first version of the small semi-modular analog Synthesizer came on the market. In the coming years, there were always new versions with improved layout, new features, and a minor different sound character. This year the Dark Energy is celebrating its 10th birthday and that is probably a good reason to take a closer look at this “iconic” affordable analog Synthesizer in V3. There are countless classic sound demos on YouTube, but it is more exciting to challenge the small analog synth. In my latest slightly different sound demo, I tried to explore the limits of the Doepfer Dark Energy. The results are hard FM, deep drones and heavy distorted sounds. Important to mention: in the whole demo no external effects were used, only the Dark Energy MK3! Dark Energy III is a monophonic stand-alone synthesizer with USB and Midi interface. It is the follower of the successful Dark Energy I and Dark Energy II. The sound generation and all modulation sources are 100% analog, only the USB/Midi interface contains digital components. Dark Energy III is built into a rugged black metal case with wooden side plates. High quality potentiometers with metal shafts are used and each potentiometer – except the filter mode control – is fixed to the case (no wobbly shafts and knobs). The distance between the controls is a bit wider compared to A-100 modules and knobs with vintage look are used. 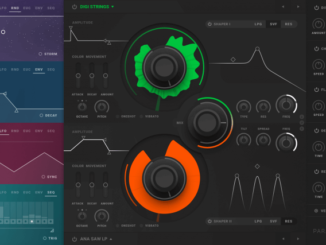 Doepfer Dark Energy is available now for 469€ from any retailer!